Every now and then, I buy a game on a whim. Often I come to regret this purchase, but just as often I stumble across a gem that otherwise would have flown completely under my radar. Such was the case with 7 Days to Die. Wandering through GameStop, I saw 7 Days to Die sitting on the PS4 shelf with a limited time sale sticker on it. I actually thought that 7 Days to Die was a completely different game when I picked it up, but as I read the back of the case I decided it might be worth checking out. 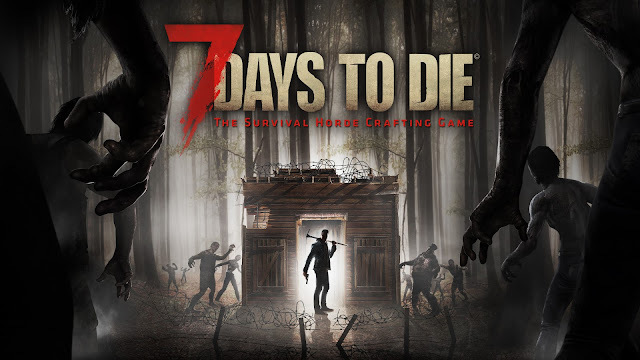 Let me explain what 7 Days to Die is before going any further. 7DD is a survival horror game built in Unity with a first person interface that blends FPS elements with menu based crafting. It's essentially Minecraft with zombies wandering around, except every 7 days in-game (typically about 6 hours of gameplay, less or more if you tweak the default settings) a ferocious and insane horde of zombies tears through with the specific intent of devouring you. When you're not trying to avoid becoming a meal for the undead, you spend the rest of your time hunting for food, gathering resources, and building fortifications in preparation for the inevitable horde. Now, Minecraft never quite managed to catch my interest. 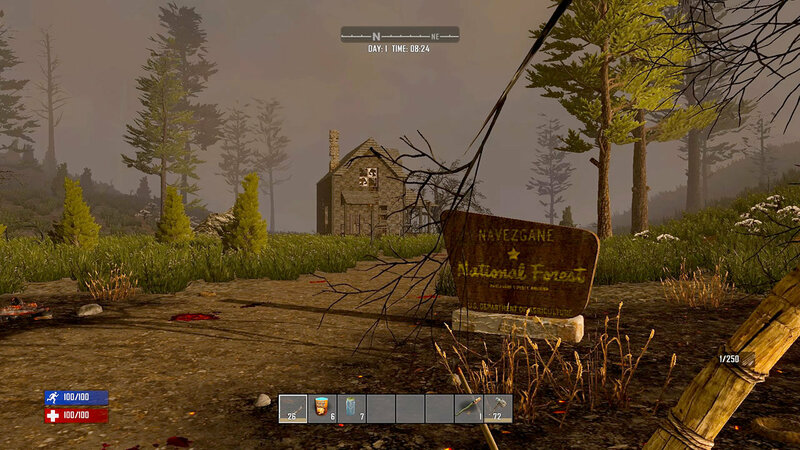 Perhaps it was simply too broad and there wasn't enough direction or sense of immediacy to catch my attention, perhaps it was something else, but whatever it was I don't have that problem with 7 Days to Die. The constant countdown to death by zombie lends the game an edge and immediacy that I greatly enjoy, and the campaign world is large and varied enough that even after months of playing the game with friends I still discover locations that I never knew existed. As an example, wandering through the desert portion of the map just last week, I stumbled upon a small old Western-style town including church, cemetery, prison, and saloon, tucked away in a tiny valley. Featuring 4 player co-op, I've also had the pleasure of playing this game with my wife and friends. The depth of the game, with its various components of first-person shooter, resource management, crafting, and exploration, presents challenges and interests for a much wider variety of players than most games I pick up, and allows me to play with people whose gaming preferences don't always align with my own. In our co-op game together, Steve is our blacksmith and armorer, I'm our forager and trapper, Wesley is our farmer, and Morgan is our miner and hunter. Everyone naturally found a niche in the game that allowed them to do something they enjoyed that contributes to our overall success and survival, and we'll frequently play for hours at a stretch. 7 Days to Die is something that I didn't know I needed until I found it, a game so big that it bridges the interests of a diverse group of gamers and allows us all to play our own "mini-games" within the larger game while still contributing to a shared group experience. While the graphics aren't exactly cutting edge and there are minor bugs here and there with some of the crafting items, the game experience overall is intense and enjoyable. It's a game that I've played for hours both alone and with friends, and it's a game I anticipate playing for hours more.